← Lichen and Loss – What’s the Connection? I try to see the glass half-full and think of myself as a positive person, but I have to admit, I HATE Throwback Thursday! Not being able to completely figure out why I have such an aversion to the seemingly innocent Facebook phenomenon, I decide to write about it. Writing is my preferred therapy, so I delve into the reasons behind my feelings. Maybe it’s because my technological prowess is lacking, and I just got a new printer? I would have to find the instruction manual buried somewhere on my cluttered desk and use up precious time that I don’t have to figure out how to scan. Something tells me that there is a deeper reason, so I do what I teach others to do — I explore my feelings. I find a stack of pictures. It’s a pile that is in a shoebox, no dates on the back, no organization to represent the passage of time; but, I look and I study the people, the places and the emotions that bubble up. There is my grandma holding me as a young baby, when my mother was hospitalized for back surgery shortly after my birth, and one with my two sisters next to me in my stroller. The pictures show my father, grandparents, godparents and many others surrounding me throughout the course of my life. The pictures show me ageing along with those beside me, and in an instant reality becomes clear. Many of the people in the pictures are gone or have moved away; the woman, who I recognize as me, has had a piece of herself die each time. The pictures make me realize also that time is passing way too quickly; looking at them brings a melancholy mood that I recognize as grief. People look for the answer to the question, “When do you get over someone’s death?” One of the clichés used often is “Time heals all wounds.” If that question is asked of me however, I will be honest, and throw back the word, NEVER. More accurately, you NEVER stop missing them. So, for now, I will NOT take part in Throwback Thursday unless I post cute pictures of my children or a younger version of myself. I continue to see the glass half-full, recognizing all the reasons I am thankful – that way I replace tears with laughter. What are you thankful for this Thursday? I urge you to share it! This entry was posted in Childhood, death, Grief, grieving, growth, Healing, Inspiration, My story, Reflection, Uncategorized and tagged ageing, cliches, death, emotions, grief, grieving, healing, thankful, therapy, Throwback Thursday, wounds, writing. Bookmark the permalink. I recently went through my box of photos to organise and throw away photos that contained people I no longer know or places I have no idea of. What struck me was one photo taken with my brothers and my step-fathers half brothers (who were all around the same age as us). I was devastated when I realised that only a couple of us are still here. Then there was the photo of myself and my siblings posing with my grandmother and I am the only one left. It hurts but what else can you do except remember the happy times? Suz, it is amazing isn’t it when you realize you are the only one left, another reality we often brush off! Yes, acceptance is the final stage of grief and memories help to soften the pain of loss. Grateful that you are still here to share, write, express and live your beautiful life! Ugh! I know that feeling all too well myself. You are definitely NOT alone. I like “thankful” Thursday. I am THANKFUL for your comment, glad I am not alone in my feelings! 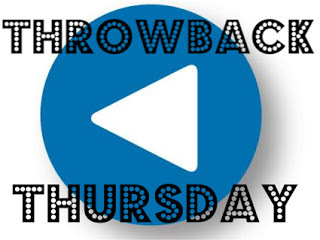 I LOVE your idea of Thankful Thursday to replace Throwback Thursday! Glad you like it – I am Thankful for your comment!